Recipes with bananas have always been tricky for me. Getting the texture takes a bit of expertise! 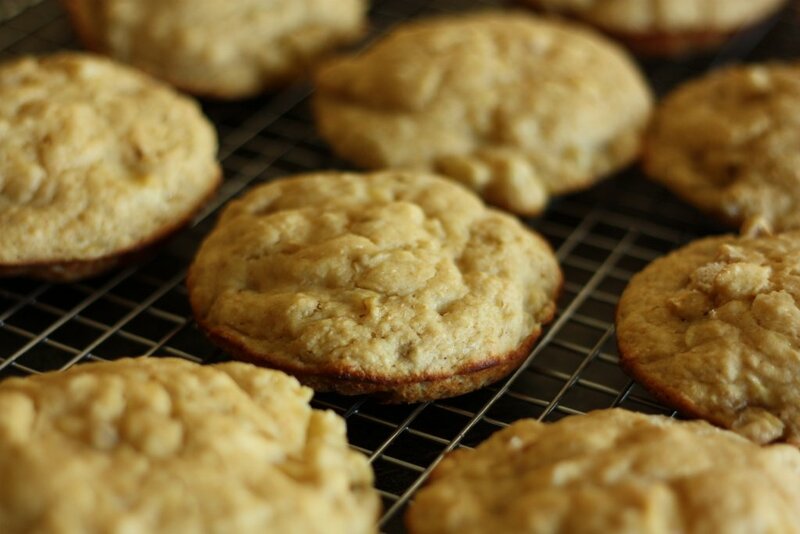 My mom devised this recipe so my dad would have a healthy, yet tasty, snack on hand! I tried them and they don’t even taste like a “healthy recipe!” She actually made muffin tops rather than regular muffins to make them seem a bit fancier and more appealing! But you can make regular muffins! 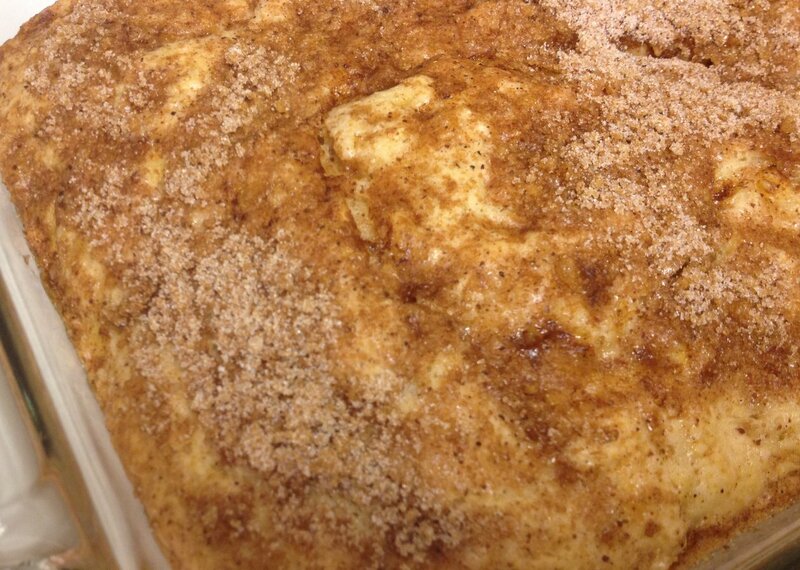 Since this is a heart-healthy recipe, take a listen to “I Let a Song Go Out of My Heart” sung by Ella Fitzgerald. It’s a great tune! Combine all dry ingredients together in a large bowl. Set aside. Slightly smash bananas on a plate. Combine all wet ingredients together. 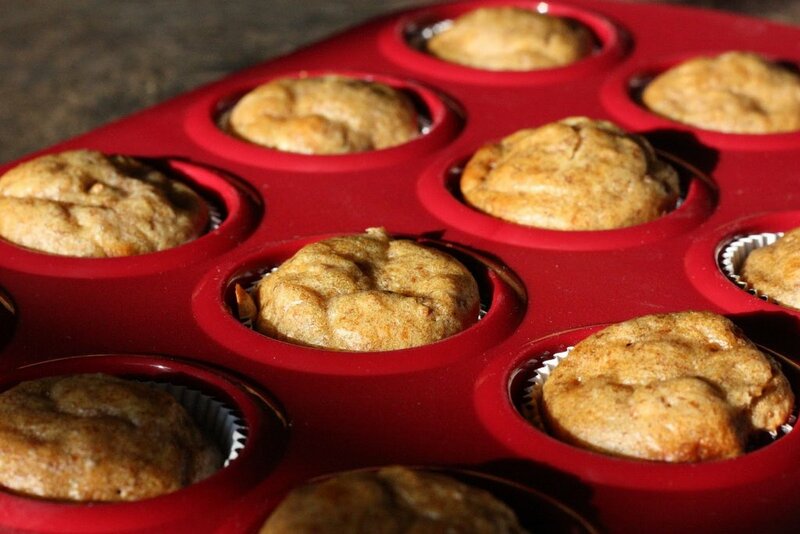 Spray muffin top pans with vegetable spray. Put between 1/2 to 2/3 of a cup in each well. Bake for 15-18 minutes until they rise and stay risen in the middle.